We strive to not only meet but exceed our customers’ expectations by performing to the highest standards throughout our business. We have an excellent safety record and are proactive in promoting safety culture throughout all activities at all NSG and client sites. In 2018, we were awarded the RoSPA President’s Award, which followed on from 12 consecutive RoSPA Gold Awards and a Sector Award for Research and Development. As part of our commitment to continual improvement, we benchmarked ourselves against the best in industry in the British Safety Council (BSC) Five Star Audit in 2015 and were awarded Five Stars. 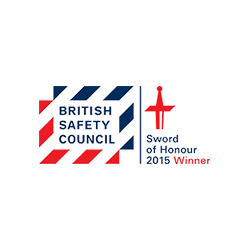 Later that year, we were one of just 61 organisations worldwide that were awarded a BSC Sword of Honour for demonstrating excellence in the management of health and safety risks at work. 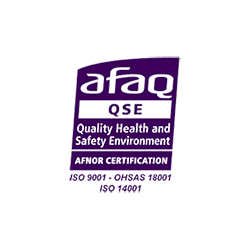 We have systems in place that are certificated to OHSAS 18001:2007 and are continuously reviewed and updated to ensure that we continue to meet all regulatory, legal and client requirements while improving our health and safety performance. All staff at all levels participate in safety walkrounds and senior managers participate in the audit programme as we constantly inspect, audit and measure our performance to identify where we can improve. Health and safety are key performance indicators within our business and we have an improvement programme which sets targets that continuously challenge our processes and procedures. 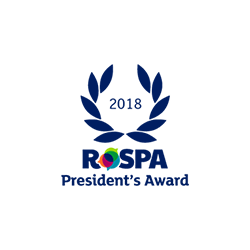 We are committed to providing the highest possible standard of service to all stakeholders. To ensure that this is achieved, we have systems in place that are certificated to ISO 9001:2015 and are continuously reviewed and updated to ensure that we continue to meet all regulatory, legal and client requirements while improving our health and safety performance. Senior managers participate in the inspection programme as we constantly audit and measure our performance to identify where we can improve. Quality is a key performance indicator within our business and we have an improvement programme which sets targets that continuously challenge our processes and procedures. We recognise our responsibility to preserve and protect the environment and are committed to continuously improving our environmental performance. We have systems in place that are certificated to ISO 14001:2015 and are continuously reviewed and updated to ensure that we continue to meet all regulatory and legal requirements while improving our environmental management. All work we undertake is assessed for environmental impact and, where that is the case, suitable controls are put in place to remove or minimise the impact. We also work with other stakeholders in the supply chain to help raise environmental awareness and to improve combined performance. Protection of the environment is a key performance indicator within our business and we have an improvement programme which sets targets that continuously challenge our processes and procedures. 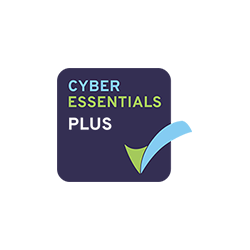 At NSG, we take cyber security seriously and are proud to hold Cyber Essentials Plus certification. This accreditation demonstrates our ability to guard against the most common cyber threats and highlights our commitment to cyber security. In addition, we have also achieved the IASME Gold standard; an audited risk-based standard based on international best practices which includes aspects such as policies and procedures, physical security, staff awareness and data backup.